Located about 7 miles from Winthrop, this 4.09 acre parcel sits at the base of Grizzly Peak, along Highway 20 and backs to National Forest. Easy access on level driveway off the highway leads to building site tucked back among the evergreen trees for private setting. Domestic well is on property; three bedroom septic installed, along with power on the property. 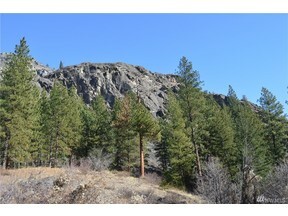 Short walk to the Methow River and near ski trails.